Choosing the right facial moisturiser can be a challenge! 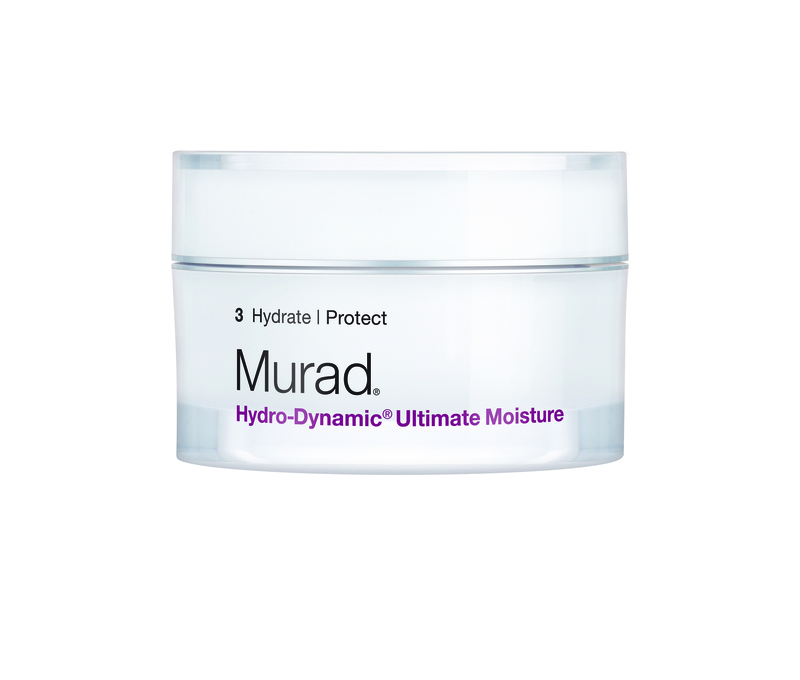 If you have ultra-dry skin that needs an extremely rich moisturiser which can maintain hydration all day long, then you need to know about Murad Hydro-Dynamic Ultimate Moisture. This is Murad’s most intensely hydrating moisturiser and was developed with the needs of extremely dry skin in mind. Not only will you love the feel of this rich, velvety moisturiser on your skin, but you’ll also find your skin is supple, beautifully soft, healthy and radiant. It’s luxuriously rich, yet non-greasy and easily absorbed, so all skin types, including sensitive and oily, love it. The wonder cream will locks in moisture levels for up to eight hours, providing both immediate and long-lasting hydration. Whether you’re just prone to dry skin or whether you’re working to stay hydrated to improve the appearance of fine lines and wrinkles, this day and/or evening cream leaves skin smooth and hydrated all day long. It’s been tested and approved as gentle enough for sensitive skin, so if you’ve found other rich moisturisers tend to irritate your skin this is an ideal way to stay hydrated without causing any discomfort. So what makes this face cream so effective? It’s Dr. Murad’s combination of Avocado, Sunflower and Olive Fruit Oils that work to enhance skin’s natural ability to retain hydration throughout the day. While your skin is being hydrated, Retinyl Palmitate and Shea Butter work to restore a smooth texture to your skin. And finally, Dr. Murad’s exclusive Collagen Support Complex helps improves fine lines and wrinkles for a more youthful-looking you. For the healthiest skin possible, use a complete skincare regime which includes a cleanser to start, followed by a serum and then apply your moisturiser. And don’t forget an eye cream to protect and hydrate this fragile area.